So there are a ton of mermaid books coming out around now, especially in the world of teen fiction, where mermaids seem to be a new trend on par with some lusciously brooding vampires. I know there are a ton of mermaid movies in development right now, too; my own book just got optioned last week by Sony, despite the fact that there are 50000 other mermaid movies in the works. What can I say, people love them some mermaids. Even Stephenie Meyer is writing about mermaids now (and I will also point out the similarity in names of Ms. Meyer’s vampiric heartthrob Edward Cullen and Edvard Collin, the real-life , unrequited love of one Hans Christian Andersen, who, as discussed in my penetrating interview with Patti Stanger, wrote The Little Mermaid in a fit of despair when Edvard was off getting married). One book I’ve been seeing over and over is Forgive My Fins by Ms. Tera Lynn Childs, who’s written previous awesome teen books like Oh. My. Gods., about modern kids descended from Greek gods. 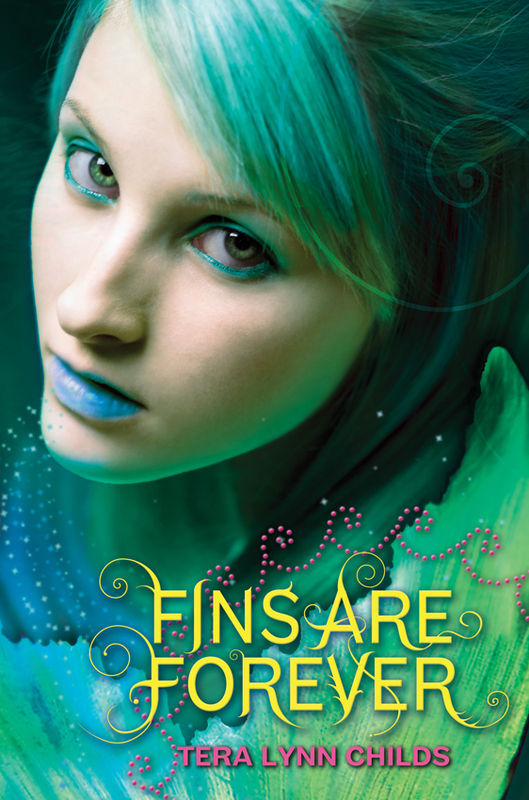 Forgive My Fins came out last June, and its follow-up, Fins Are Forever, comes out this summer. 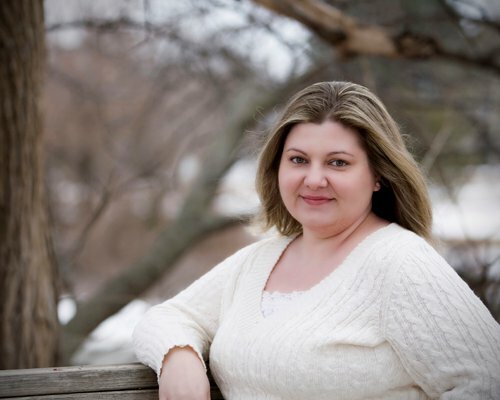 In the spirit of mermaidly research, I figured I ought to track down my fellow mermaid authoress and ask her some questions. What attracts you to magic and myth, and to mermaids specifically? I have been enchanted by both myths and mermaids for as long as I can remember. My particular obsession with mermaids began in elementary school, with a line of bath toys called Sea Wees and then with the movie Splash. I’ve wanted to be a mermaid ever since. 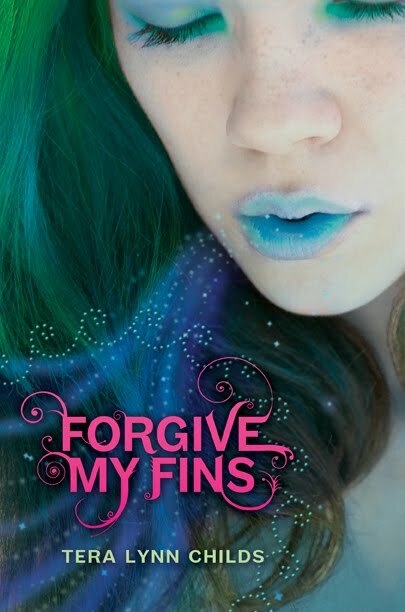 I know that Forgive My Fins is about a high school girl who is actually a mermaid princess. Have you ever suspected that you yourself – or anyone around you – might have a secret mermaid identity? After seeing Splash, my cousin and I were absolutely convinced we were mermaids and only needed to get ourselves into water to undergo the transformation. When bathwater didn’t work we decided it had to be saltwater. I’m sad to report that even a dip in the Gulf of Mexico has left me entirely human. When/how did you get the idea for your mermaid series? How many more books are coming? As of right now there are just the two books in the series (Forgive My Fins and the upcoming Fins Are Forever). But my fingers are crossed that I’ll get to write more about Lily and her world. Did you have any special challenges when creating your mermaid world (like how they have babies, etc)? Well, my mermaids aren’t exactly thinking about having babies yet, and my half-mermaid princess was born on land to her human mother. But the one big question I had to face was how they got from land/human form to water/mermaid form. I wrote a mermaid diving into the water and transfiguring as she went when I realized that she had to be naked to do that! I came up with the idea of a finkini, kind of like shorts made out of scales. It’s a mermaid’s nod to modesty. Aside from the obvious differences, like having tails vs. LEGS, what do you think the main distinctions are between mermaids and humans? Mermaids are a lot more relaxed, them move at the slower pace of the ocean. They are also more sensitive to their environment and the effects of pollution and climate change on their waters. And what about those mermen? Do you think they get the short shrift? Your mermaid princess needs to find a human boy to take back to her ocean kingdom and turn into a merman — it takes a boy very secure in his humanity and sexuality to do this, doesn’t it? Actually, my mermaid doesn’t have to find a human boy, she just happens to fall for one while she’s checking out life on land. I do think the boy has to be very secure and very aware of himself to enter the mer world. It’s just like any person dropped into a foreign culture. You have to be very self-aware in order to absorb and adapt to the change. Finally, do you have any advice for aspiring mermaids? Take care of the oceans. With climate change and global warming, the oceans are changing and some of the most beautiful and exotic ecosystems are being irreparably damaged. Help the merfolk preserve the natural beauty of their world, for them and for us, for generations to come. I got “Mermaid” yesterday and I just finished it, as a life long mermaid fan who is very critical of any literature involving mermaids I have to say I was impressed. I want Lenia to take me in her silver arms and bring me to her gorgeous, shimmery world beneath the sea.